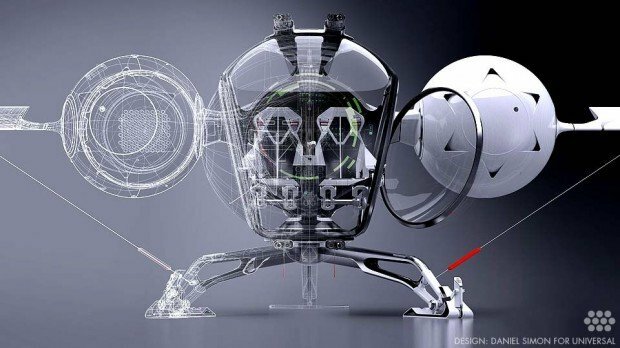 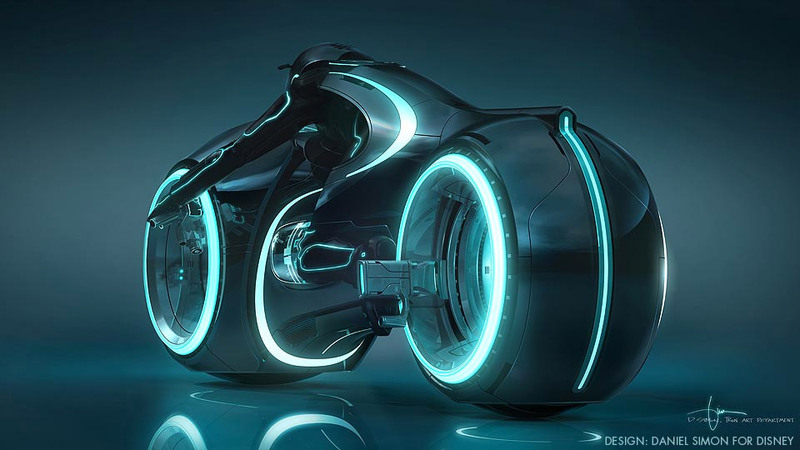 If you’ve seen TRON: Legacy, Oblivion, or Captain America, you’ve seen the work of vehicle designer and futurist Daniel Simon. His designs include the latest-gen TRON light bikes, tanks and jets, those amazing retro-futuristic Hydra craft, and the incredible Lotus C-01 bike among others. 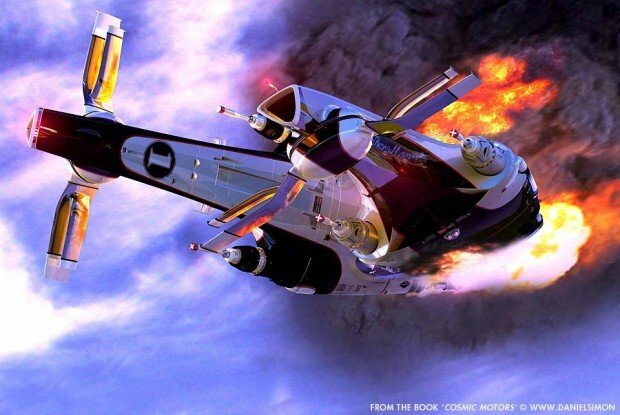 Daniel’s got that job we all wish we had when we were little kids – drawing incredible, imaginary vehicles, and actually having them brought to life on the big screen. 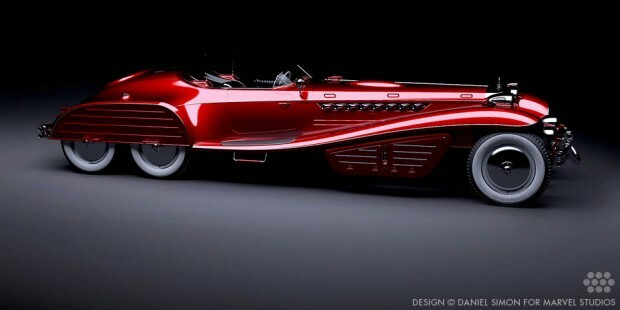 Of course, he’s got the talent and professional automotive design experience to back it up, so that doesn’t hurt. 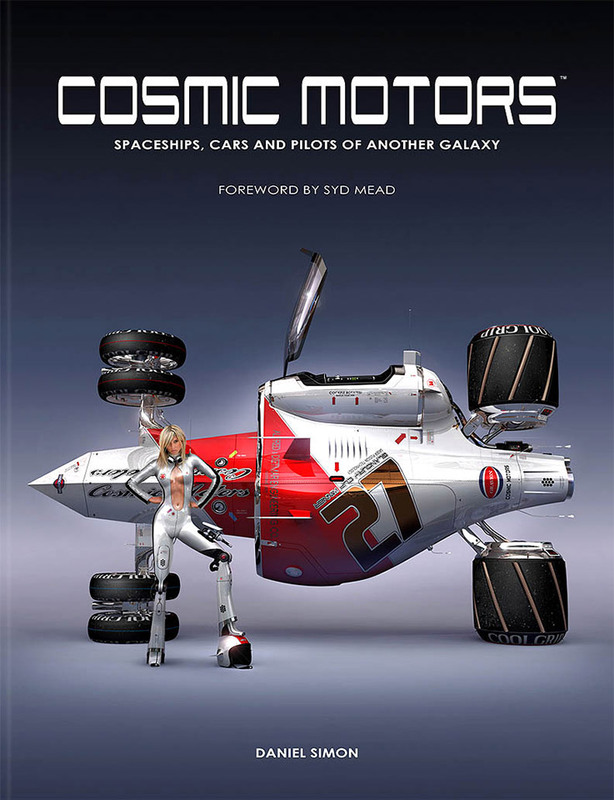 Cosmic Motors envisions a galaxy in which futuristic rides already exist, and includes designs for amazing cars, trains, warships, spaceships and more. 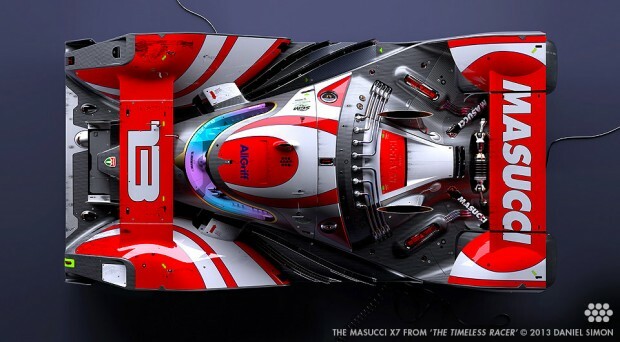 While Cosmic Motors features far-fetched vehicles which belong in science fiction movies, The Timeless Racer envisions how race cars will evolve in the future, with the first episode focused on the year 2027. 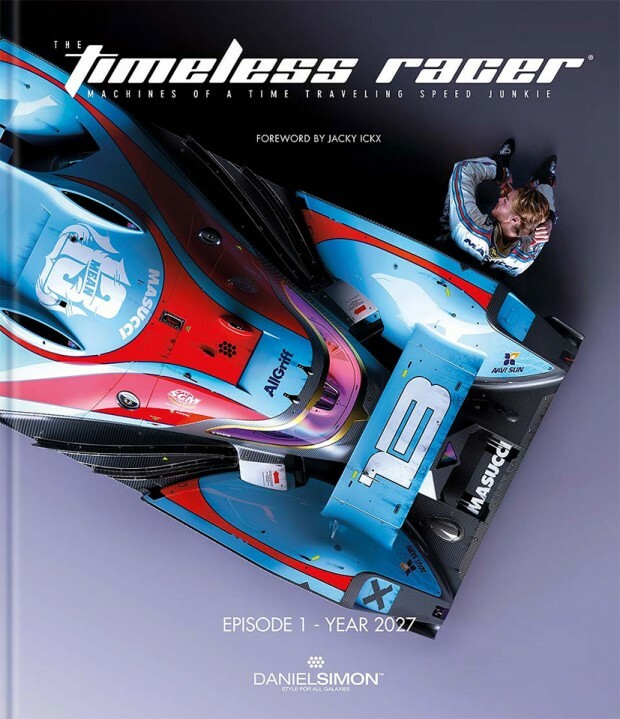 The book features detailed profiles of both these hyper-modern race cars, along with fictitious drivers and their lifestyles. Go behind the scenes with Daniel Simon and learn more about his work and his process over on his website.